Magento eCommerce platform serves more than 200,000 merchants globally. 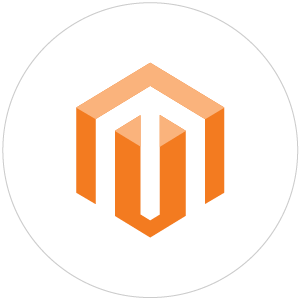 Magento is an open-source, with rich features, enterprise-class platform offering a high degree of flexibility and control over the user experience, content, catalog, and functionality of their online store. Integrating multi-store under a single admin panel to help you manage the merchandising products under one roof. Integrating your store with major social media platforms to help your products go viral and increase your conversions. We are not only skilled in finding the right plugins, configuring, customizing existing plugins, but also in creating them from scratch. Installing analytical tools to generate daily reports about new trends and patterns in sales, new orders and best products. Migration from any eCommerce platforms. 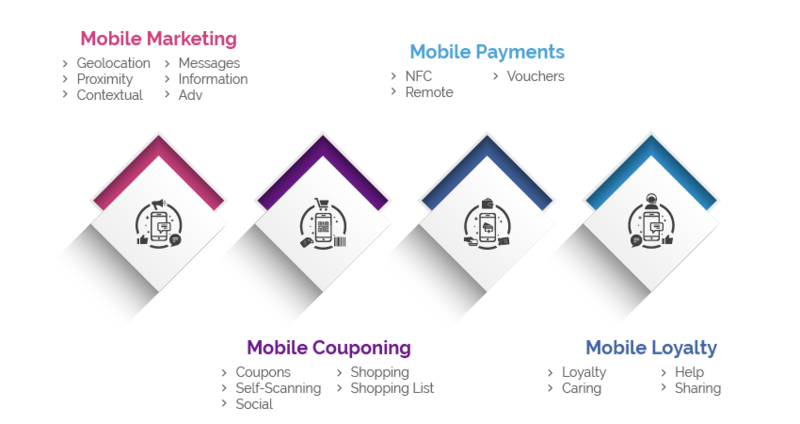 Capture Life from Royal Cyber, a revolutionary native Mobile Commerce platform, optimizes your customers retail shopping experience and help them save time, effort & money thus giving you a better ROI. Cutting-edge experience on interactive product catalogues. Geo-location of nearby stores using map. Customizable Aisle Bay Floor Maps. Organize special product campaign, coupon, and offer. e-Catalyst from Royal cyber, optimizes your customers retail shopping experience and help them save time, effort & money thus giving you a better recommendation. eCatalyst is built on top of Big Data architecture which provides scalability without compromising performance. eCatalyst components are ready to implement and can be customized to meet business requirements with in no time. eCatalyst Big Data architecture can easily handle huge volumes of data. Algorithms are designed to provide improved recommendations with continuous learning real time data. Marketplaces can be a major driver of sales for online retailers, representing as much as 35% of online business. However, it can be challenging to ensure your product data is up to date and compliant on each marketplace. The GoDataFeed extension is designed to do just this, automatically. Manage all of your marketplace orders in your online store. With this liberty, you can broaden your reach to the dominant marketplaces such as Amazon.com, eBay, Rakuten, etc. without the inconvenience of repeatedly updating orders on multiple sites. It saves your time as you do not need to deal with import problems or other data entry issues and allows you to focus on filling more orders. The accuracy in orders fulfillment improves the reputation with the marketplaces, opening doors for higher sales and growth. It’s automatic. No more data entry. No more inventory problems. No more overselling. GoOrderSync helps sync the order information from Marketplace with the shopping cart platform. Solr can scales to billions of documents no matter where they’re stored or what file format they’re in. Capture documents across all your mail servers, file systems, databases, intranets, and network drives; whether in the cloud or on-premises. Own your data and avoid vendor lock-in with open-source, open-core Solr. Index both structured and unstructured data for a comprehensive search capture. Utilize a conversational search interface so non-technical employees don’t have to learn complicated query languages or use a command line. Narrow criteria or suggest paths with related searches, suggestions, and keywords. Personalize results based on users’ past search behavior and the clickstream of similar users. Give users full transparency into why a particular query produces its results. Go beyond synonyms; navigate through documents easily with automatic categorization and faceting. This will help the customers when they are entering the address, it gives the suggestions and it gives the verified address. This will help the customers when they are entering the address, it gives the suggestions and it gives the verified address. By this the delivering of ordered items becomes fast and reliable. This will helps the client as well as customer.